RentPath helps millions of consumers nationwide find apartments or houses for rent through their industry-leading online and mobile platforms. As few advertising solutions cater to our industry, we were beyond excited about Dynamic Ads for Real Estate. DARE proved to be the perfect vehicle to promote the most relevant listings to people based on their search criteria. With this solution and the help of partner StitcherAds, we were able to drive scale across key markets while generating a significant reduction in cost-per-lead. RentPath relies on StitcherAds’ direct response technology for their lead-driving campaigns on Facebook. Through their fully-managed service offering, StitcherAds has built and managed highly successful campaigns for RentPath using Dynamic Product Ads (DPA), a product best suited for eCommerce. 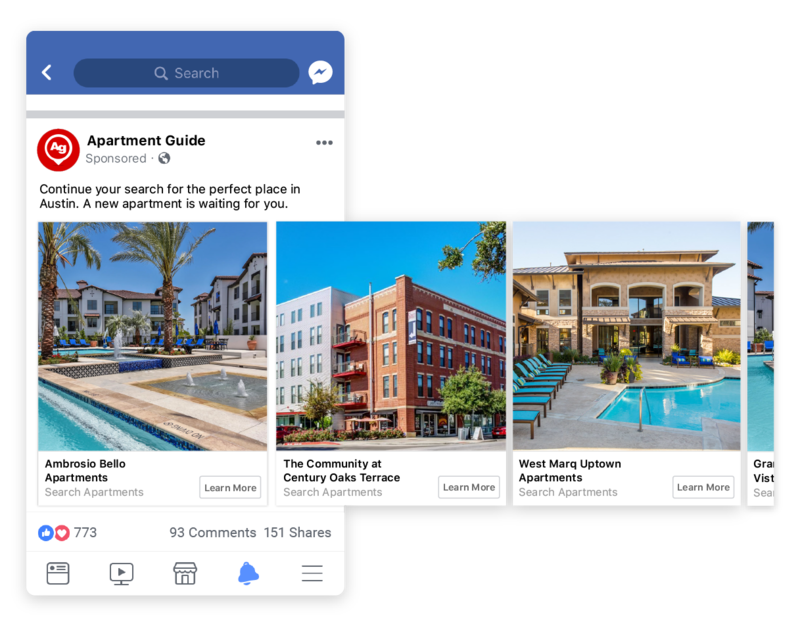 In a shift towards industry-specific ad formats, Facebook provided select partners with the early release of Dynamic Ads for Real Estate (DARE). Unlike DPA, advertisers must provide details like number of beds/ baths and location to run DARE, giving Facebook structured data to create better user and listing matches. Since RentPath had already found success using DPA, StitcherAds set up a test to select markets to compare this new real estate-focused ad format to its customized predecessor over a 4-week period. Dynamic ads for real estate drove 21% more leads from high-value markets when compared to dynamic product ads. With StitcherAds, the Children’s Place creates stronger prospecting campaigns.